See pictures of some rescued cats on our Success Stories page! Helping Washington DC, Northern Virginia, and Maryland with their feral cat population. Metro Ferals is an all-volunteer organization that was established in 1997 to promote non-lethal alternatives to feral cat population control. Wild or feral cats are trapped, neutered and then returned (TNR) to their “home”, where we make sure there is a caretaker who can watch out for them and feed them. Young kittens are rescued, socialized and adopted through our adoption program. We also run a low cost spay/neuter clinic for feral cats and provide assistance to people wishing to TNR the cats they feed and maintain. If you are looking to adopt in the DC & Virginia area? 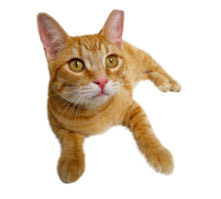 Here are some Northern Virginia & Washington DC cats and kittens listed online for adoption. If you are looking to adopt in the Maryland area? Here are some Maryland cats and kittens listed online for adoption. Or go to our next adoption fair to see some of them in person! We could always use donations to help our cause. Please click on the PayPal button on the left to make a secure donation today. We can always use the help of volunteers!